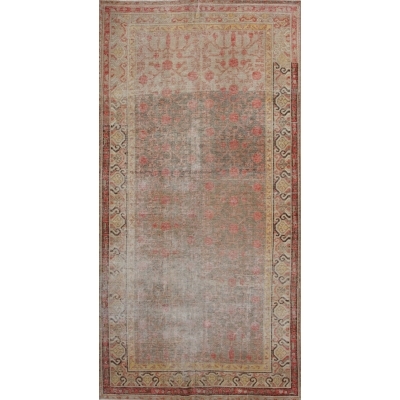 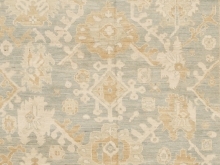 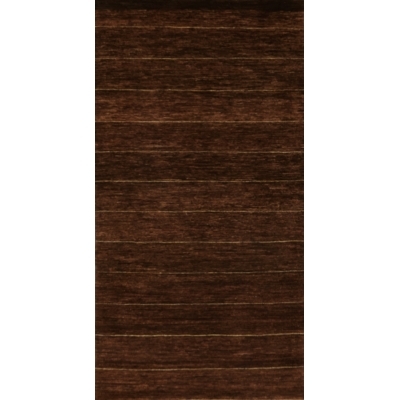 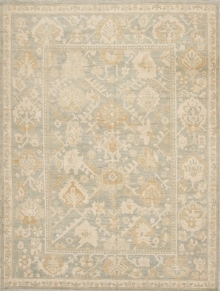 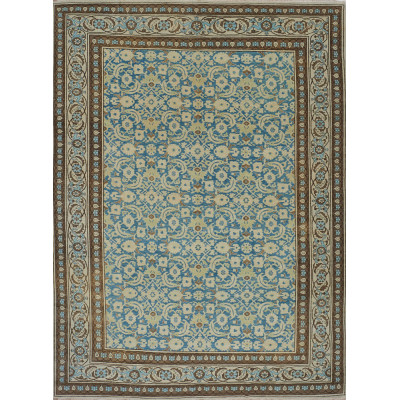 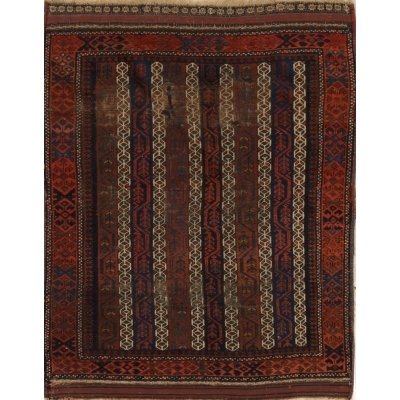 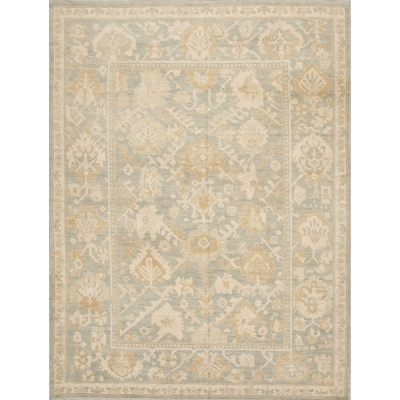 A hand-knotted Oushak rug, 100% wool pile on a cotton foundation with vegetable dyes. 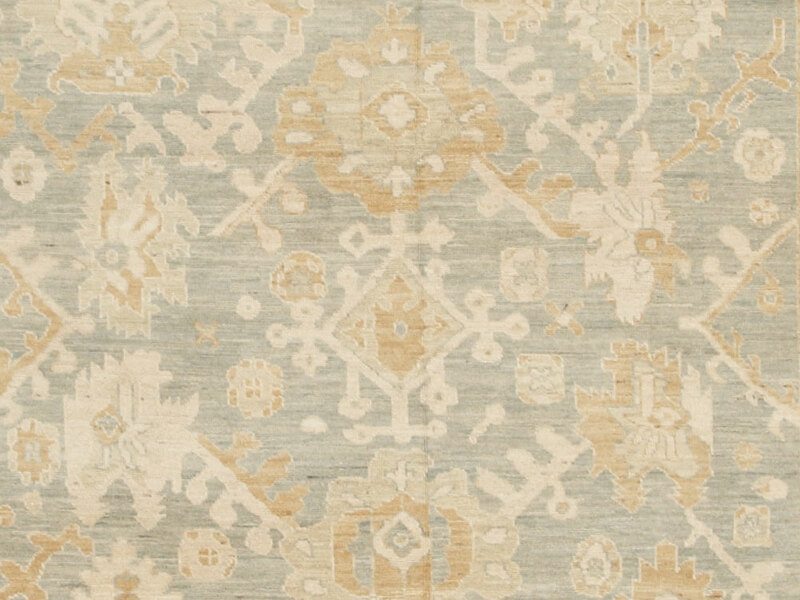 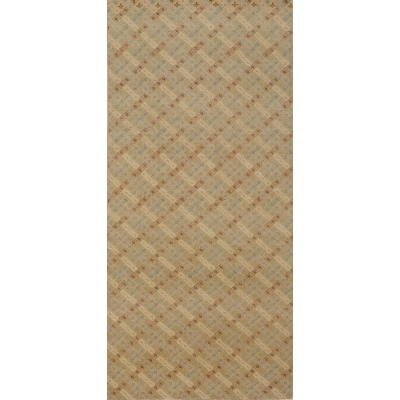 This rug was woven through our project and partnership with the US Department of Defense to support women weavers in Afghanistan. 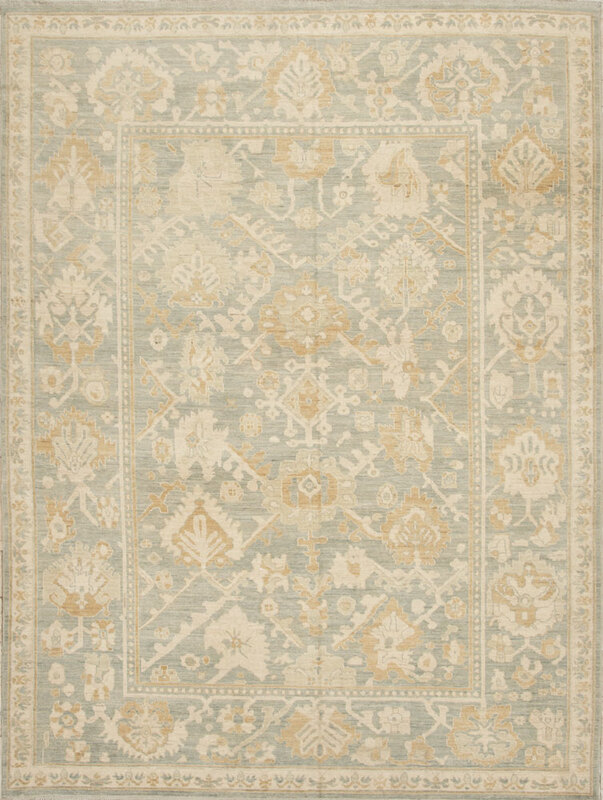 The design is a classical Turkish Oushak pattern.